HOUSTON (AP) — In the chaotic aftermath of Hurricane Harvey, Principal Jonathan Trinh feared the worst for his Houston high school. But when the scores came out recently, there was only celebration. 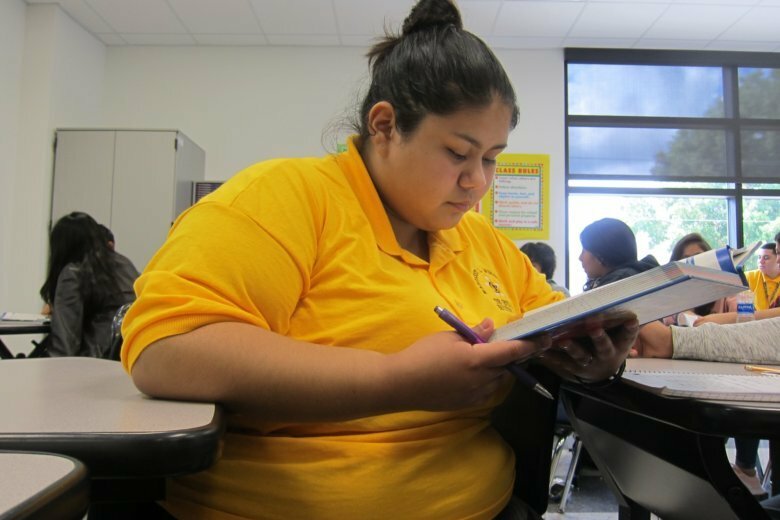 Wisdom and other Houston schools with some of the largest populations of at-risk students defied expectations and showed improvement in state scores — a feat attributed to perseverance in the face of adversity, and changes to the state accountability ratings that put more emphasis on progress. In the Carolinas, where schools were closed for tens of thousands of students, officials are still assessing damage from the storm that made landfall on Sept. 14. Among other measures to help districts deal with the storm’s effects North Carolina officials have been looking into waivers to exempt schools from state calendar requirements. For Houston school leaders, there was extra motivation in the decision by Texas officials not to excuse all schools in the Houston Independent School District from state testing ramifications. A third of the district’s 281 campuses, including Wisdom, were not eligible for a state waiver, which was determined by the number of teachers and students displaced, school closure days or physical damage to the buildings. They were on the hook for their academic performance despite plenty of their own storm-related disruptions. At Worthing High School, one of the four at-risk schools, Principal Khalilah Campbell helped find new housing for multiple struggling families after they lost subsidized housing. Three-fourths of the historically black school’s students came from low-income families and less than half were meeting state achievement standards. Campbell said she stayed focused by tapping every available resource. And ultimately, the number of students who met state standards in algebra doubled. They also made gains in English and history. “It was like ‘OK, it’s time to fight,’ and you have to fight really, really hard because the kids deserve it,” Campbell said. Statewide, just 1 percent of the state’s 1,200 school districts were noted as needing improvement, compared to 3.5 percent the previous year. In Houston, one of the country’s largest and most diverse school systems, the number of schools that landed on the state’s list of schools needing improvement dropped from 27 to 22. “The hard work that Texas educators are doing in the classrooms is reflected in the system,” Callahan said. All states have in recent years revamped their school accountability systems and were required to submit their new plans to the U.S. Department of Education for approval under the Obama administration’s “Every Student Succeeds Act” from 2015. For Alaniz, school became a refuge after Harvey. Her family remains temporarily separated as her older siblings had to move out because there wasn’t enough room in their half-repaired home. Her mother had to get two jobs to support the family and mother and daughter now rarely see each other with busy school and work schedules. Associated Press writer Juan Lozano contributed to this report.